Combine all three services for the ultimate luxury combo discount package and save $$$ huge!!! Give us a call to schedule your shoot today. Please see pre shoot check list before appointment and send this to your clients. Here is a image of our regular coverage area. 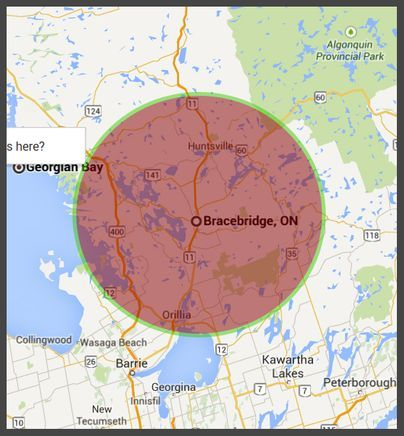 anything outside of the red circle may be subject to a travel fuel surcharge. Anything 60km outside of Bracebridge. Please call for more details on this. We do work everywhere in Ontario.